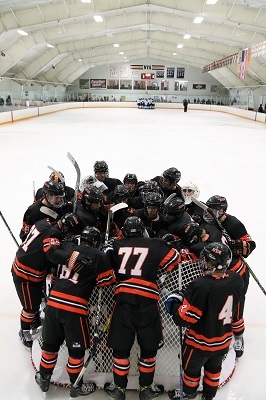 and a competitive schedule are hallmarks of our prep hockey program. 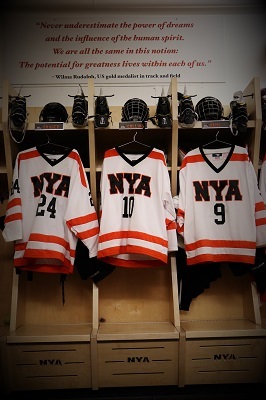 NYA combines challenging college prep academics with a strong hockey program, allowing student-athletes to achieve their best both in the classroom and on the ice. 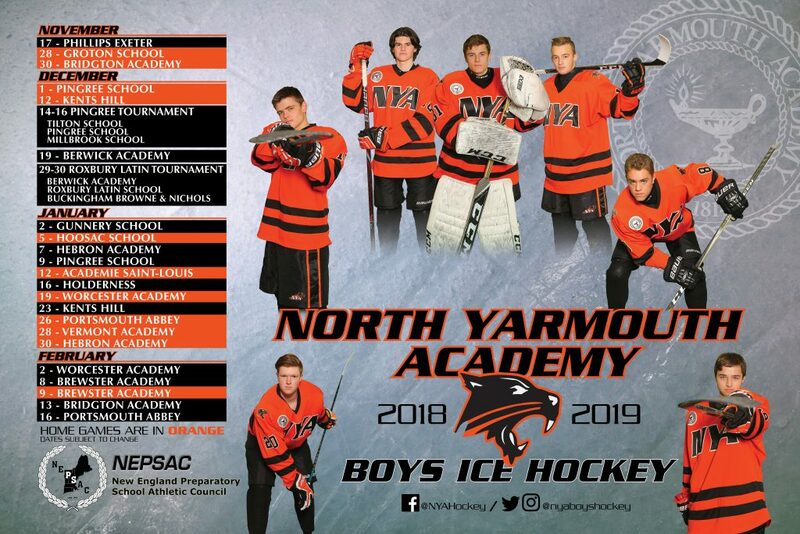 North Yarmouth Academy provides a structured and supportive post graduate program that builds a solid foundation for the successful transition to college and beyond. Visit our Post Graduate page. 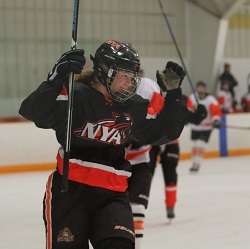 The NYA boys and girls hockey programs are built for those who have the drive to achieve more academically and strive to reach the collegiate and/or junior hockey levels. 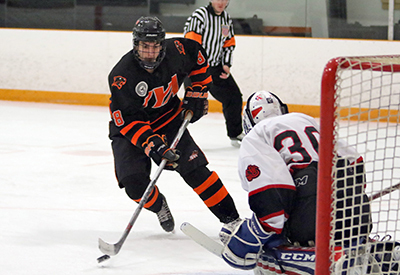 Our varsity teams compete in the New England Prep School Athletic Conference (NEPSAC) against some of the strongest prep hockey teams throughout New England and the Northeast. 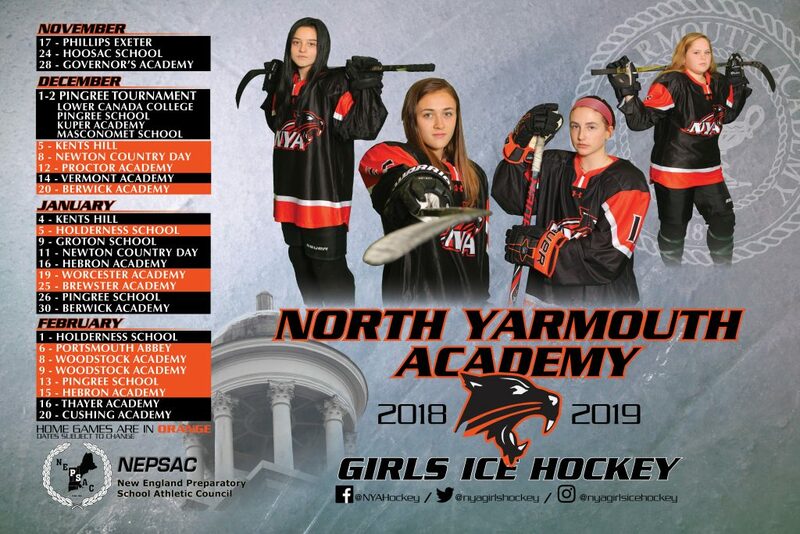 The 30-32 game prep schedule offers NYA student-athletes the opportunity to compete against some of the country’s best high school players and to be seen by college scouts and recruiters. 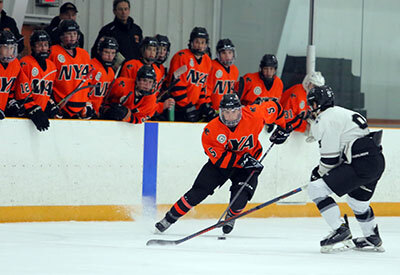 The junior varsity program acts as a developmental team with a strong focus on skill development. Panther hockey players, boys and girls, quickly find the term “teammate” is synonymous with “family.” They have everyone and everything they need to develop right on campus. Teachers who know every student by more than a name, are focused on the success of the student in the classroom as much as the coaches are on the ice. In turn, exceptional and experienced coaching staff support students in their growth and development as students-athletes. A dedicated physical trainer and strength & conditioning coach caters to each individual athlete with a tailor-made regimen. Need to get faster, stronger, more agile? They can do that. Weight, cardio, and training rooms are open to players most of the day, year round. Goalie coaches who have played at all levels and saved more shots than they can count, teach those who play between the pipes the skills to do the same. 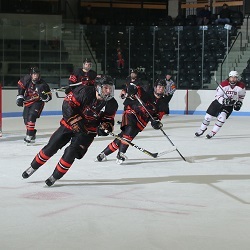 Having our own rink on campus affords players 1 ½ to 2-hour daily team practices right after classes. 1 ½ to 2 hours of free ice is available mornings and Saturdays for those who choose to train further on their own or with teammates. Off the ice, top notch team locker rooms with personal space to store gear act much like a team living room. Laundry service for athletic clothing will have the day’s gear clean and ready for the next day’s use. Skilled staff technicians take care of skate sharpening and any needed equipment maintenance. Please contact us at any time to ask questions or to schedule a tour of campus. Click on one of the buttons below to take your next step towards wearing the black and orange!